I admire people who can write beautifully, especially about food, and that’s one of the reasons why I admire Carolyn Jung, A.K.A. Food Gal, a food and wine writer extraordinaire. 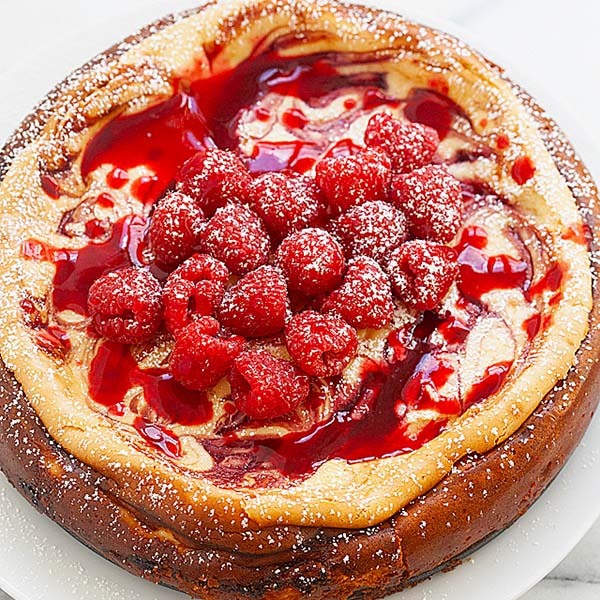 Food Gal is an award-winning food blog about recipes, restaurants, celeb chefs, and everything food and wine related. I love great food writing and that’s why I am often glued to Food Gal, secretly wishing that I could write half as good as Carolyn. Please welcome Carolyn at FoodGal.com to Rasa Malaysia and let’s celebrate her black bean Brussels sprouts recipe. It’s truly a great honor to have her here! As a child, I vividly remember my Mom hovering over the blender in the kitchen, as it noisily whirred away. She’d lift the lid to reveal a most pungent smell that would fill the entire house, and cause me to fairly jump back from the counter. It was a potent, fermented and garlicky fragrance that really jolted the nose. And I loved it, because it was her homemade black bean sauce that she used liberally to punch up so many of her dishes. As an adult now, I’ve made my own black bean sauce now and again. But truth be told, what I most reach for is the pre-made, handy stuff in the jar that I almost always have in the fridge. Yes, there I said it – I use a jarred sauce. I’m not ashamed of it, either. After all, who amongst us makes all their own ketchup, mustard, oyster sauce, soy sauce, Worcestershire sauce and other condiments? Do I see one hand out there? That’s what I thought. Make no apologies for using a ready-made product, not when it’s a good one that can make your hectic life a little easier. I reach for my store-bought jar of black bean sauce often when I’m whipping up a no-hassle, no-brainer stir-fry dish for dinner. 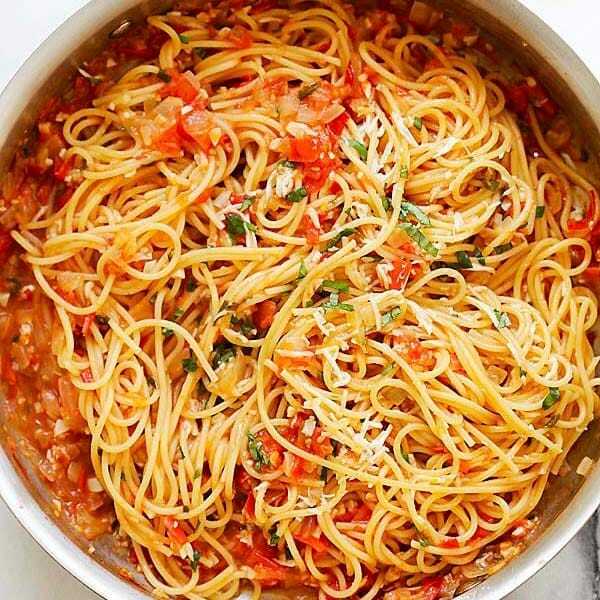 Whether it be a mix of vegetables, pork, shrimp, beef, or chicken or noodles, a tablespoon or so of that unmistakable sharp, salty, thick, concentrated sauce really gives a dish presence. No matter what else is on the table, a dish with black bean sauce commands attention. It’s no shrinking violet; it’s the person with a big personality who wakes up the room. Fresh winter Brussels sprouts and hum-drum ground pork combine in this dish with black bean sauce to become something much greater than the sum of their parts. Some chopped fresh ginger and yellow onion, plus a few rehydrated dried shiitakes add even more complex flavor and texture. 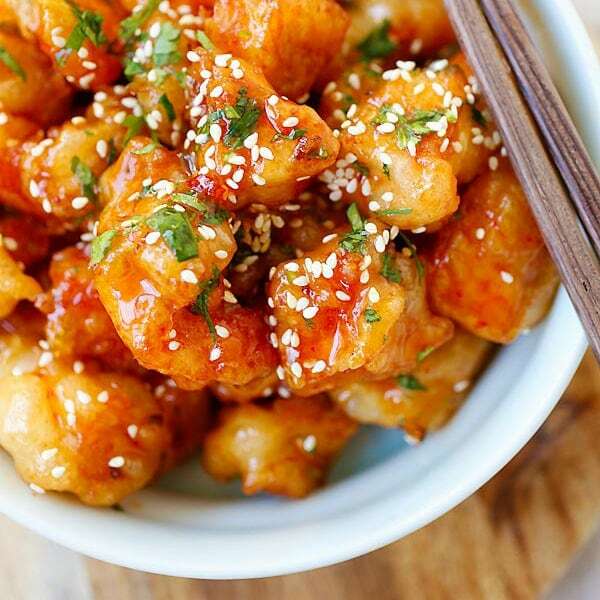 Served over fluffy, steamed rice, it makes for a quick and easy meal. Even quicker, too, if you use the stuff in the jar. Go ahead, you absolutely can without a shred of guilt. Stir-Fried Brussels Sprouts and Pork in Black Bean Sauce recipe - Fresh Brussels sprouts, ground pork,black bean sauce, chopped fresh ginger, yellow onion, dried shiitakes. In a bowl of very warm water, rehydrate mushrooms for about 25 minutes until softened, then drain. Cut off and discard tough stems. Chop mushroom caps, and set aside. In another bowl, mix ground pork with sesame oil, ground black pepper, soy sauce and garlic. Allow to marinate for 30 minutes in the refrigerator. Heat a large frying pan or wok on medium-high heat with a little oil. Add pork, stirring frequently to break up the meat until cooked through, about 5 to 7 minutes. Remove meat to a bowl. Add a little more oil to your pan. Add onion and ginger, and cook on high heat for two minutes or so until onions start to soften. Add mushrooms and stir. Next, add Brussels sprouts and mirin. Stir, cooking until Brussels sprouts start to get a little soft, but are still crisp. Stir in black bean sauce. Return cooked ground pork back to the pan. Stir until pork is incorporated with the Brussels sprouts. Slowly pour in chicken stock-cornstarch mixture. Allow to simmer and thicken for a minute or two. 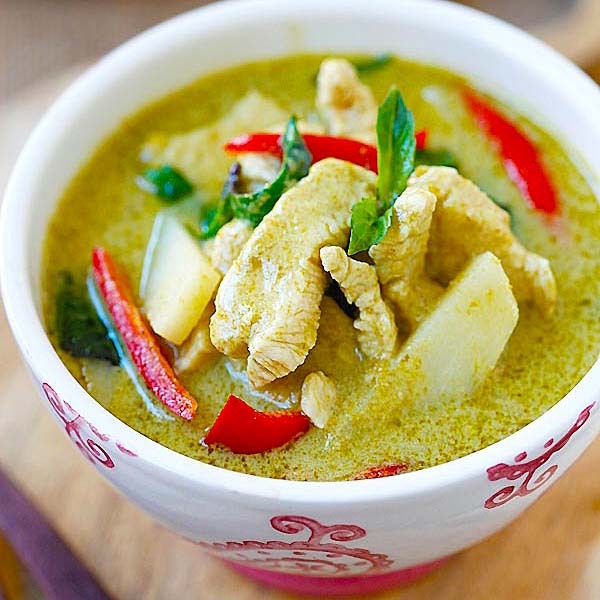 Turn off heat, stir in cilantro leaves, and serve with steamed rice. 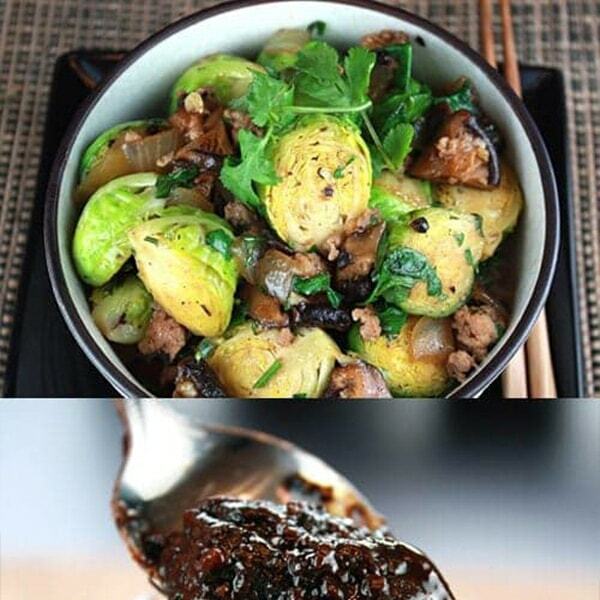 This is such a great idea, pairing Brussels sprouts with black bean sauce and pork, and mushrooms, yummy. Great recipe and write-up! Thanks so much, Kate. I hope you give it a try. It really is a satisfying dish that’s easy enough to make on a weeknight. Please let me know what brand of black bean sauce you use. Thanks. I enjoy your website. The easy to find Lee Kum Kee is the brand I use. i love recipes like this. i’ve made something similar but slightly different flavors. looks awesome! Thank you, Billy! Happy New Year to you and your family, too. What beautiful pictures. And the dish looks and sounds just fantastic. This one I have to try! I love Brussels sprouts. The dish sounds and looks wonderful! [email protected]'s a Newf in My Soup! Carolyn – I just enjoyed some amazing brussels spouts in Las Vegas, at Michael Mina’s StripSteak, but these look and sound equally delicious. Will definitely try your version very soon. Thank you! Lucky you to have gone to Michael Mina’s. I bet the Brussels sprouts there were heavenly. Did they use duck fat on them like they do with their fries? I agree completely. I”m sure most cooks appreciate a shortcut that does not skimp on flavor. A few precious minutes or hours gives the family cook an opportunity to enjoy life’s other pleasures – family, friends, and, yes, a little quiet time for the mind. I also second Stephanie’s request on your recommendation for the jarred bean sauce. I wish I could. But I’d have to go on memory for that childhood sauce. Let this be a lesson to everyone out there: Do not put off asking your Mom or Dad to write down your favorite dishes that they make. How many of us tell ourselves, “Yeah, yeah, yah — I’ll get to that some day.” Before you know it, time flies and then it’s too late to do it. My parents both passed away three years ago. I have but a handful of their recipes written down. I cherish each and every one of them, quite a few of which I’ve written about on my own blog, too. But what I wouldn’t give to be able to turn back the hands of time to be able to ask them to write down so many more. Sigh. I love black bean sauce, and have never attempted making it, and it sounds delicious with the brussels sprouts! I love Carolyn’s blog and you are right – she writes beautifully. Lovely choice of a guest post to complement your style! Oh, and great recipe! I’ve been reading Carolyn’s column for many years and still read her blog regularly. I agree that one should not feel less of a good cook when using pre-made sauce or seasoning mix. I must be living under a rock or something, because I’ve never tried that/heard of it in my life! I can’t wait to have some in my fridge. Your pictures are amazing! Definitely one to try out. You guys are too kind! Thank you so much. I hope you enjoy making the Brussels sprouts dish as much as I did. Bon Appetit! Ahhh, black bean sauce, quite some time didn’t use them in my recipes. Your black beans sauce pictures looks out of this world tasty. I have a recipe for making black bean from dried beans without any seasoning at http://desigrub.com/2010/03/glorious-black-beans/ Let me know if you find it useful. i love to cook muddles.